Tag line: "He made her his star. And his darkest obsession"
Released the same year as Hitchcock (a movie about the making of Psycho), The Girl, a 2012 movie in which legendary director Alfred Hitchcock is one the main characters, takes place around the same time period, but paints the filmmaker in a much different light, portraying him as a man obsessed with a beautiful woman, and doing everything he can to possess her. Looking for an actress to star in his next film (a horror movie titled The Birds), Alfred Hitchcock (Toby Jones) turns to New York model Tippi Hedren (Sienna Miller), a gorgeous blonde he first saw in a television commercial. Convinced she had no chance of actually landing the part, Hedren is stunned when, during a lunch meeting with Hitchcock and his wife Alma (Imedla Staunton), she learns that she’s been chosen to play the lead character, Melanie Daniels. But what at first seems like a dream role quickly becomes a nightmare when the demanding director puts his star through the ringer, forcing her to shoot a number of difficult scenes while also making an aggressive pass at her in the backseat of a car. Despite the hardships she endured, Hedren accepts the title role in Hitchcock’s follow-up picture, Marnie. It’s during the making of this film that the director’s infatuation turns into an all-out obsession, with Hitchcock professing his love for Hedren on a regular basis, only to be crushed when she doesn’t return his affections. His preoccupation with the actress is so severe, in fact, that it threatens to destroy not only her career, but his own as well. 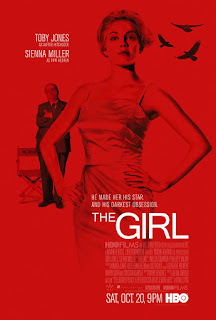 Sienna Miller delivers a solid performance as Tippi Hedren, a strong-willed woman determined to make the best of a terrible situation (at one point, while shooting The Birds, Hedren suffers through five days of having actual birds lunge at her, a sequence that, as originally planned, was supposed to wrap in a single day). Yet it’s Toby Jones’s turn as Alfred Hitchcock that steals the show. Along with his near-flawless impersonation of the famed director, Jones perfectly portrays a man whose passion has gotten the better of him, clouding his judgment and affecting his reason. In one of the film’s more disturbing moments, Hitchcock, riding in the back seat of a car with an exhausted Hedren, grabs the actress and kisses her, holding her close as she begs and pleads to be released. Later on, his fixation becomes downright creepy (on Christmas day, he makes a series of phone calls to Hedren’s house, saying he never wanted to marry Alma, and telling the actress he believes they’d be perfect together). As a fan of Hitchcock’s, I admit I found these scenes very hard to watch. 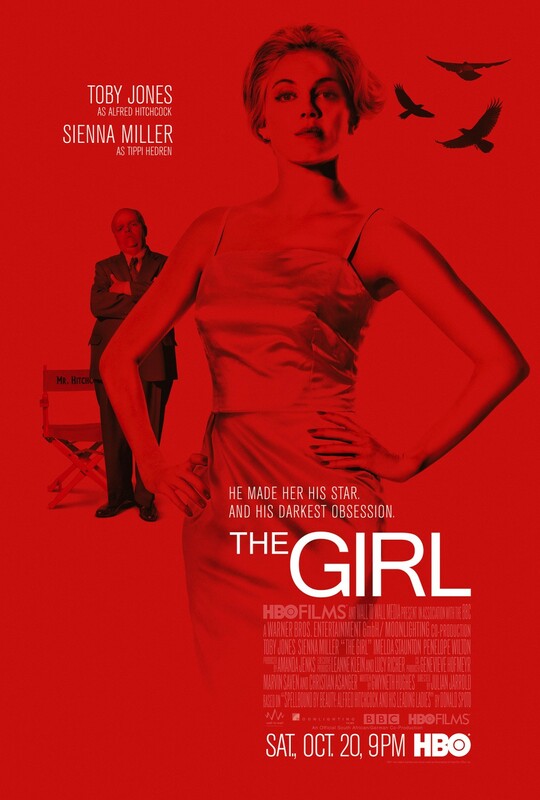 There’s some debate as to whether or not The Girl is a true story; Hedren insists it’s accurate, while Louise Latham, who played her mother in Marnie, says she was surprised to learn of these allegations against Hitchcock, adding she wasn’t aware of Hedren being hassled in any way during that movie’s production. But regardless of how factual it may or may not be, The Girl is a marvelously acted motion picture, and that alone is reason enough to see it. I recall when this came out, but missed seeing it. I need to watch it.